Bayern Munich winger Franck Ribery believes Jupp Heynckes is striking a perfect balance as the Bundesliga leaders charge on towards more glory and trophies. The French winger is not the only Bayern player to see his playing time limited, but with such a star-studded ensemble at the club, the 34-year-old says it is only right for rotation to ensure they are all kept on their toes – and he says Heynckes is getting it right. "We all need breaks from time to time," Ribery told Bild newspaper. "Heynckes has divided my time well. I've been able to spend a healthy holiday with my family and keep up my training, meaning I can put my foot down again in Qatar, and that's important." 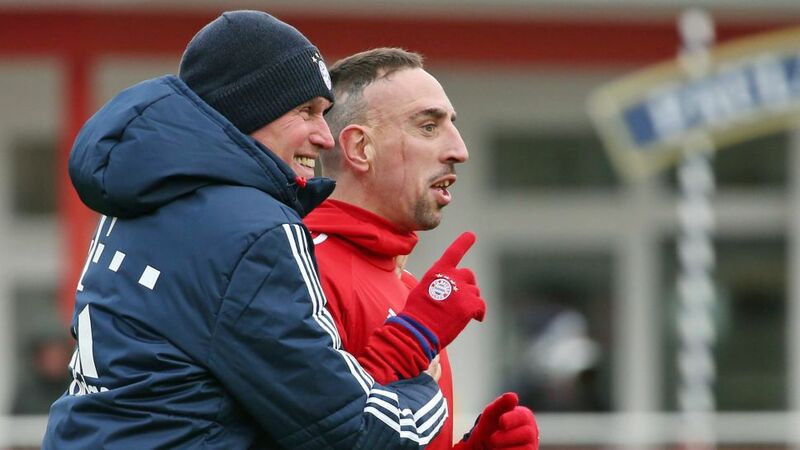 Aside from a two-month injury-enforced absence, Ribery has been a regular for Bayern this season. He has yet to complete a game over the full 90 minutes, though, but he has no qualms about making way for somebody else now and again. "We work and win together," Ribery said. "We're playing as a team again and it's really nice. With Jupp's return, a good feeling and the faith came flooding back. The atmosphere's different." With that in mind, Ribery, whose contract expires in the summer, is happy to get his head down and work hard on earning an extension – after adding a few more medals and trophies to the cabinet. "I came back in December after two months out with a knee injury and I'm back in really good form again," he said. "The way I'm playing now makes me happy, then we'll just have to see."